Jim McGill brings more than 25 years of leadership experience in manufacturing, logistics, ecommerce and retail. On top of his current role as the head of the Peter Gilgan Family Office, Jim sits on a number of corporate boards. Over the past five years Jim held a number of interim executive positions, including as the Chief Executive Officer of Angoss Software. Previously, Jim spent 7 years at Indigo Books as Chief Financial Officer and eventually the Chief Operating Officer where he was accountable for all corporate finance functions, supply chain, HR as well as the IT and legal groups. Jim brings with him strong operational and corporate finance experience in the retailing and distribution sectors. Prior to joining Indigo, Jim spent three years building the finance function at Grocery Gateway, a successful start-up company in the online retailing sector. Before that, he spent nine years in the finance group at Purolator, Canada’s leading overnight courier company, where he was CFO for his last four years. Earlier in his career, Jim held positions with Deloitte & Touche and Proctor & Gamble. 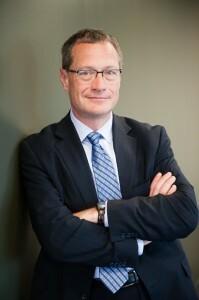 Jim holds a Masters in Business Administration from the University of Western Ontario and a Bachelor of Applied Science, Mechanical Engineering, from the University of Waterloo.